Chairs give us comfort and they make it easier to do certain activities, such as eat and browse the internet. But chairs can do a lot more than just give us seating; they are also a great way to bring in some style and flair. Why not bring in your favorite designs and materials with an awesome arm chair or lounge? Why don’t we usually care about the chairs we sit in? Probably because there is nothing special about them and just seem to be tools that get you through the day. However, unique and interesting chairs can really make your room pop and make a statement! The above chair is great because it brings in traditional features with contemporary touches. Add something like this to a traditional space to feel more modern and updated without straying too far from the traditional vibe. Or add it to a very modern space for a grounded feel. Another way to make a traditional room feel more updated is to reupholster the chairs and sofas in modern looking fabrics or bright colors. Cool looking chairs can also be used as a conversation piece. It could be a chair brought back from traveling or just something you picked up at a local store. These chairs would not necessarily be for seating but rather for look and feel. They can also be actual functional pieces of furniture (other than to sit in) like this picture above. There is no reason why armchairs can’t be a way to store knickknacks or books. This specific chair can be wheeled around anywhere with ease! Put it in the living room or office to make a statement. Chairs can be anything you want them to be! Above, this armchair is doubling as ambient lighting. It could be a terrific way to have a night light for kids or to light up an area that is extremely dark at night. This kind of chair could blend its way into modern and traditional areas as well. The pattern is more traditional while the design is more contemporary. There are many other styles and shapes of this kind of lighted chair as well. Just look around! 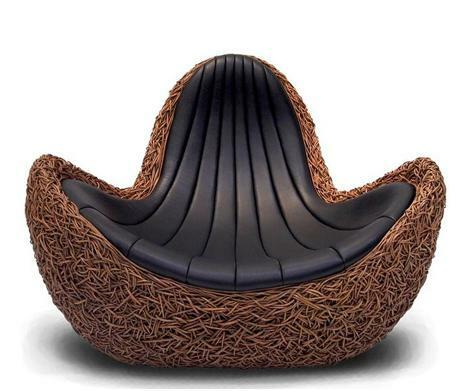 Create a unique and fresh feel to your outdoor space with this rounded lounge chair. It is contemporary in design yet it looks inviting to sit in, a wonderful combination when trying to get that modern look. 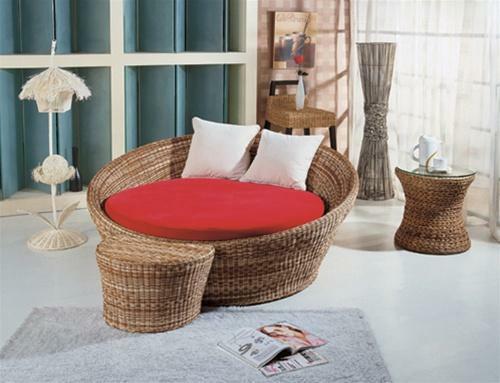 The rattan adds texture to the space and it also makes the space feel warmer. This chaise is a perfect way to add comfort as well as style, which sometimes don’t go together as one. Some people may sacrifice one for the other but there is no reason why you can’t have both! There is no reason why chairs can’t be cool and cozy! You just have to find the right one for you.